If you have kids, you may be wondering what is the best way to channel their seemingly boundless energy. While traditional team sports are a good way to get your kids physically active, they may not be right for younger children. Dance classes are a great alternative to team sports, and most studios offer lessons for children as young as two or three. 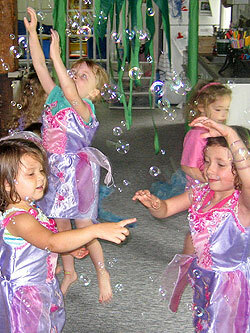 Participating in dance classes can be beneficial for kids of all ages. Dancing is a highly physical activity, and kids who take dance lessons regularly should expect to see a significant improvement in their overall physical health. According to a local dance center, regular dance practice can increase your child’s flexibility, range of motion, physical strength and stamina. The repetitive movements involved in dance can improve muscle tone, correct poor posture, increase balance and coordination and improve overall cardiovascular health. Dancing is an aerobic form of exercise. For children who are overweight, it can potentially help them to lose weight and improve their eating habits. In addition to being a physical activity, dancing is also a highly social activity. Dance lessons can help children improve their social and communication skills, learn how to work as part of a team, develop a greater sense of trust and cooperation and make new friends. If your child is shy, enrolling her in dance can encourage her to reach out to other children her age and help to reduce her anxiety about new people or places. Dance can also help to alleviate fears related to performing in front of an audience. Becoming a skilled dancer requires practice, discipline and focus, skills that can be useful in other areas of your child’s life. According to experts in this field, dance lessons can help to spark creativity in young children and help them to develop an appreciation for the arts. Students who regularly participate in dance lessons typically tend to perform better academically than their nonparticipating peers. Based on their own experiences, professional instructors estimate that students who have a background in dance tend to achieve significantly higher SAT scores and do better in math and science competitions. physically or mentally impaired or those who are attempting to deal with significant emotional problems.